The Kendo UI Popup widget positions content next to a specific anchor. This article assumes that you are familiar with the fundamental Kendo UI widget concepts. The Kendo UI Popup is initialized from a <div> element. 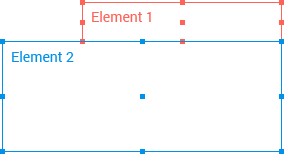 The element is initially hidden, as the content of the widget is designed to be only visible when opened through the API. The example below demonstrates how to initialize the Popup and what its basic usage is. To align the Popup to a specific element, use the anchor option. The Popup opens next to the defined anchor element. To specify the element to which the Popup must be appended, use the appendTo configuration option. By default, the document.body option is used. Unless specified otherwise, the Popup attaches itself to the nearest parent container with a "k-group" class. This allows for seamless integration with widgets like the Kendo UI Menu. In rare cases, however, this behavior might yield unexpected results, such as a misaligned or an invisible Popup. In such cases, it is recommended that you explicitly specify the appendTo option. To define the boundary detection performance of the Popup, use the collision option. It specifies the behavior of the widget when it does not fit in the view port. By default, the Popup fits horizontally and flips vertically. The positioning of the Popup is controlled by specific pivot points. Both the anchor and the Popup are treated as rectangular elements, so each has nine pivot points. Every Popup point can be aligned to an anchor point. The position of the Popup can be fine-tuned by specifying both the position and the origin options. For more information on the configuration options, refer to the Popup API documentation. Similar to all other Kendo UI widgets, an existing Popup instance is accessed through the .data("kendoPopup") jQuery method, executed by the jQuery object of the originating element. For detailed information, refer to the article on getting a reference to a Kendo UI widget.